There are literally 10,000 reasons to get the The Amex EveryDay® Credit Card from American ExpressThe Amex EveryDay® Credit Card from American Express. 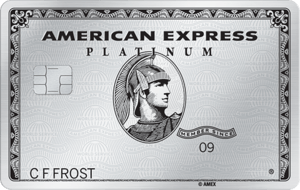 (American Express is a CardRatings.com advertiser) New cardholders can earn 10,000 Membership Rewards® Points for making $1,000 in purchases within the first 3 months of account opening. Amex's Membership Rewards® program makes sense for just about any lifestyle and spending need. Cardholders have the ability to earn 20 percent bonus points on all purchases when you reach at least 20 transactions in a billing cycle. This added bonus is a great incentive for cardholders to use their card and earn maximum rewards points. You'll enjoy a 0 percent intro APR on purchases and balance transfers (and no balance transfer fee for transfers made within the first 60 days) for the first 15 months (then 14.99% - 25.99% Variable). If you're looking for a credit card that rewards grocery store purchases, the cousin of Amex EveryDay®, Blue Cash Everyday®, offers higher rewards on grocery related purchases. Many reward credit card offers want to limit you to travel and travel-related purchases. The The Amex EveryDay® Credit Card from American ExpressThe Amex EveryDay® Credit Card from American Express lets you easily redeem your Membership Rewards® Points across a number of spending categories. Travel—Use your points to reduce your travel costs. 10,000 points makes your airfare $100 cheaper. Shopping—Just 5,000 points can save you $35 on Amazon.com® and there are plenty of other participating retailers. Gift Cards—From Airbnb® to Zappos.com®, currently 70 retailers and other establishments let you cash in points for credit. Entertainment—Buy tickets to the hottest show in town through Ticketmaster® and you may just get into the concert for free. 20,000 points have a value of $100. Point of Sale—1,000 points is a big deal if you want a Big Mac® or two. McDonald's® and other retailers take $10 off your meal when you use 1,000 points. Your Charges—Use points toward eligible charges, from retail to dining when you have at least 1,000 available points. Charitable Giving—We don't like this one, we love this one. Any nonprofit registered with MembersGive will receive $10 every time you donate 1,000 points (up to 500,000 points in a calendar year). You can accumulate a lot of extra points on your Amex EveryDay® Credit Card, but you have to use it right. For example, the 20% more points you can get for using the card 20 times means this: Buying 20 things at once, doesn't count. Buying 1 thing 20 times, does. Buy your groceries at a participating U.S. supermarket to get double the reward points. Buy your other goods and services at as many separate locations as possible to get 20% more points. That's probably not so different from how you already shop, especially if you are often seeking good deals on your non-grocery purchases. Examine your past purchasing habits to see if this makes sense for you. While Amex EveryDay® Credit Card is great for general purchasing, the Capital One® Venture® Rewards Credit Card is fantastic for travel purchasing. The Capital One® Venture® Rewards Credit Card offers a big bonus for big spending early on — 50,000 miles (a $500 value) for spending $3,000 in the first three months. The other big perk with Capital One® Venture® Rewards Credit Card is that every $1 you spend gets you two miles (or earn 10 times the miles per $1 spent when you use your card to pay for a booking at Hotels.com/Venture). You can also fly any airline, stay at any hotel, anytime and not have to worry about blackout dates. Plus, you can transfer your miles to over 12 leading travel loyalty programs. But while there is some flexibility on redeeming these miles for non-travel purchases, the focus on travel means it can't compete with the flexibility of the Amex EveryDay® Credit Card. It's also worth considering the Capital One® Venture® Rewards Credit Card has a $95 annual fee (waived the first year). 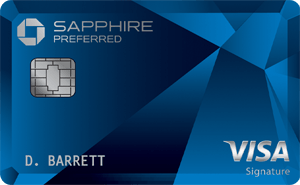 Those that want a card similar to the Capital One® Venture® Rewards Credit Card but don't like an annual fee (after the first year) should consider the Capital One® VentureOne® Rewards Credit Card which offers similar benefits, but does not carry an annual fee. The Citi® Double Cash Card - 18 month BT offer is another no-annual-fee credit card offering cash rewards. This card has an across-the-board 1% cash reward, and you can earn another 1% cash reward when you pay at least the minimum balance. Pro: The Citi® Double Cash Card - 18 month BT offer has no category restrictions to keep track of and there are no programs to enroll in. Con: Unlike the Amex EveryDay® Credit Card, you don't receive bonus points for making a certain amount of purchases during an introductory period. Chase Freedom® makes it pretty easy to get cash back for early purchases. Specifically, you can earn a $150 bonus after spending $500 in the first three months. It also charges a $0 annual fee and offers a 0 percent Intro APR on purchases and balance transfers for 15 months (then, 17.24 - 25.99% Variable), the same as for the Amex EveryDay® Credit Card, though this card does charge a balance transfer fee. The Chase Freedom® requires a little more purchase monitoring than the The Amex EveryDay® Credit Card from American ExpressThe Amex EveryDay® Credit Card from American Express. For example with the Freedom® card, you can earn 5% cash back on up to $1,500 in combined purchases in bonus categories each quarter you activate. Enjoy new 5% categories every 3 months like gas stations, restaurants, and wholesale clubs. Unlimited 1% cash back on all other purchases. One month cardholders may redeem 5% for Amazon purchases, and the next quarter it may be gas stations. Keeping up with the rotating categories may mean you'll need to pay closer attention, but 5% cash back is a higher rewards rate than the 2x points earned at supermarkets with the Amex EveryDay®. Who Should Get the Amex EveryDay® Credit Card? The foodie who prefers to grocery shop rather than order a meal at a drive-thru can rack up those double points fast. The travel-junkie who wants their monthly spending to help offset their annual vacation overseas is well served by this card. The tech geek who loves getting the best deal on the latest gadgets will earn the 20% more rewards, especially if he or she spreads out their purchases over time and across stores. The bottom line? 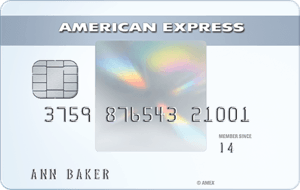 The The Amex EveryDay® Credit Card from American ExpressThe Amex EveryDay® Credit Card from American Express is another solid product by American Express for folks who want a credit card that makes sense for everyday use.